Rochester, Experience Every Side of the Clarity Plug-In Hybrid! Sometimes, you want to drive an electric car. Sometimes, you need more flexibility. 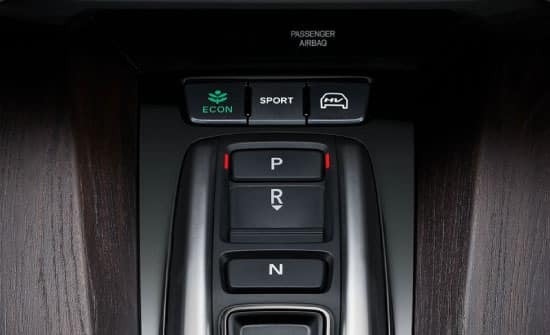 That’s why Honda created the Clarity Plug-In Hybrid. Charge up and drive on electricity, or tap into its hybrid engine for unexpected turns—all while spending less time at the pump. Experience no compromise. See how forward-thinking engineering and design provide the flexibility and benefits of plug-in hybrid technology. 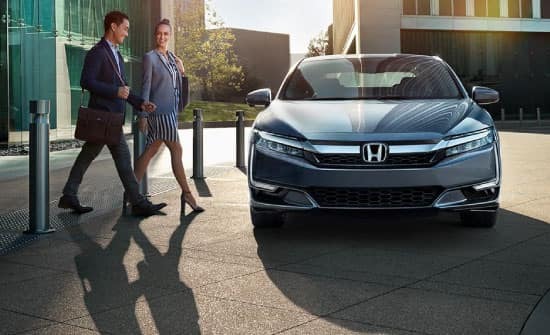 Come to Ralph Honda to see why the Clarity earned the 2018 Green Car of the Year, and experience why the Clarity Plug-In Hybrid stands out against other mid-size sedans in comfort and space . Simply submit the form on this page or call 585-978-3070 now to setup your personal Clarity test drive experience. Head out in style, and on pure electric, with the 47-mile all-electric range rating. Smart Entry with Walk Away Auto Lock lets you lock and unlock the doors without ever taking the key out of your pocket. When electricity runs out, gas kicks in. Up to $7,500 in Federal Tax Credits, and take advantage of state benefits. THE 2018 CLARITY IS HERE! 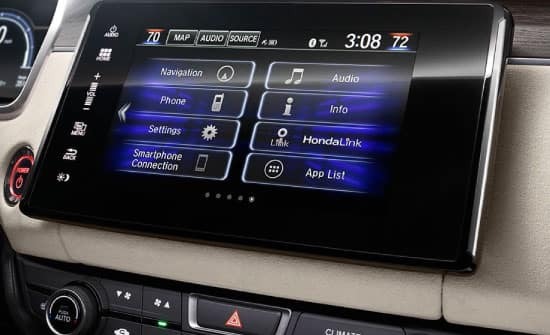 For more information about the latest Honda technologies and features available in the new Clarity, simply give us a call at (585) 978-3070 to setup a Test Drive, so you can experience everything first hand. The Honda Clarity Series is recognized as the 2018 Green Car of the Year by Green Car Journal for ita range of plug-in hybrid, electric and hydrogen fuel cell-powered vehicles, spacious design and the highest all-electric range rating* among midsize plug-in hybrids. (*Based on manufacturers’ data comparing midsize plug-in hybrid class at time of launch.) For more information, visit www.greencarjournal.com. 110 combined miles per gallon of gasoline-equivalent (MPGe) electric rating; 44 city/40 highway/42 combined MPG gasoline only rating. 47-mile maximum EV mode driving range rating, 340-mile combined gas-electric driving range rating. Ratings determined by EPA. Use for comparison purposes only. Your MPGe/MPG and driving range will vary depending on driving conditions, how you drive and maintain your vehicle, battery-pack age/condition and other factors. Charging time varies depending on conditions, such as the remaining battery level and the ambient temperature. SiriusXM® services require a subscription after any trial period. If you decide to continue your SiriusXM® service at the end of your trial subscription, the plan you choose will automatically renew and bill at then-current rates until you call SiriusXM® at 1-866-635-2349 to cancel. See our Customer Agreement for complete terms at www.siriusxm.com. Fees and programming subject to change. XM satellite service is available only to those at least 18 years and older in the 48 contiguous United States and D.C. ©2017 SiriusXM® Radio Inc. Sirius®, XM and all related marks and logos are trademarks of SiriusXM® Radio Inc.
 HD Radio™ and the HD, HD Radio™, HD Digital Radio, HD Digital Radio Alliance, and “Arc” logos are proprietary trademarks of iBiquity Digital Corporation.